Withybush General Hospital, part of Hywel Dda University Health Board, needed a solution to manage patient flow due to the high volume of people requiring cataract surgery. There were more than 1,500 patients who had waited over 36 weeks for the procedure. Vanguard Healthcare Solutions worked with the team at Withybush to develop a plan to meet this need. It included the installation of a 190m2 mobile healthcare unit which would increase clinical capacity at the hospital. Vanguard delivered and installed the bespoke mobile theatre and patient ward. It became fully operational within the space of a few days. The unit at Withybush Hospital provided a modern clinical environment suitable for specialist ophthalmology procedures. The laminar flow specification offered HEPA-filtered environmental air conforming to Grade A EUGMP. This system ensure that up to 600 air changes per hour pass over the patient. 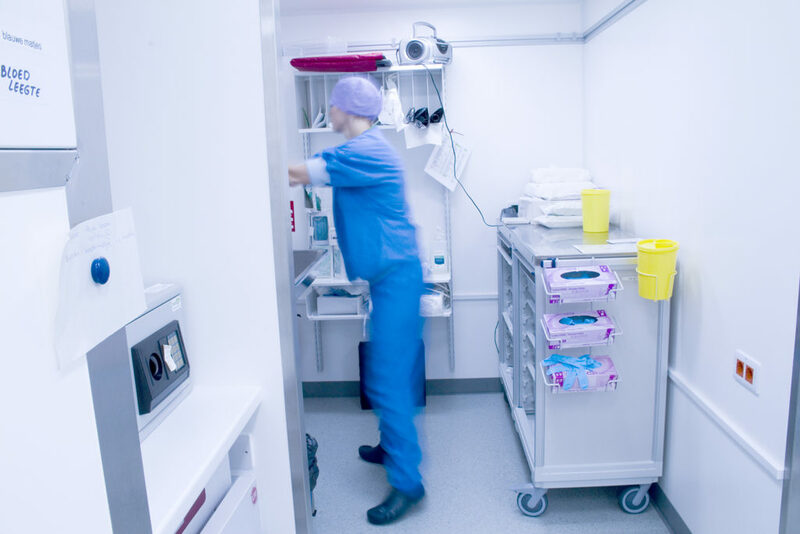 The innovative design of Vanguard units allows the theatres to integrate with mobile wards to create a day surgery facility. The increased capacity allowed the number of those waiting for the procedure to be reduced to 350. This was a reduction of the list by almost 25%. The facility treated 850 patients in the initial contract period. Executives at the hospital decided to extend the unit’s stay for a further month to complete an additional 175 operations. Gordon Wragg, Operations Manager at Withybush General Hospital, told us: “We understand how frustrating it can be for patients to be on a long waiting list and it is really important for us as a Board that we do our utmost to see patients promptly and within their local hospital environment. This not only helps with financial stability for the Board, but also peace-of-mind and continuity of care for patients, many of whom in this instance will be aged 60 and over.